Hand-crafted in Colorado Springs for musicians by musicians, the Signature Series is the premier product for music playback and monitoring. Designed with five balanced armature drivers and a three-way crossover, the UM Pro 50 is the pinnacle of design, comfort, and fidelity. 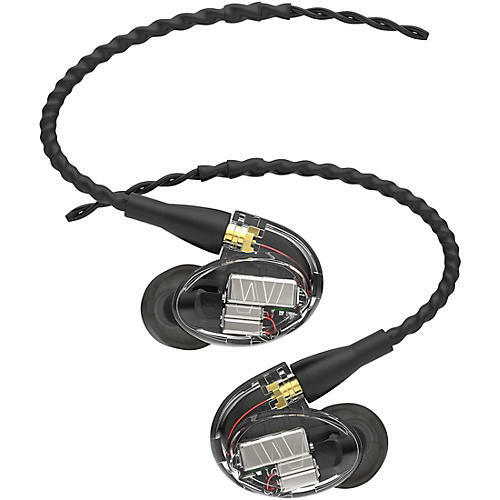 Fifty years of experience with in-ear applications has yielded a low-profile, lightweight, universal earpiece that delivers maximum comfort and in-ear coupling for dynamic sound transfer. Westone’s balanced armature drivers are more compact and efficient than traditional dynamic drivers. By combining multiple balanced armature drivers with sophisticated crossover networks, Westone monitors offer enhanced sonic detail and frequency range that ￼￼￼￼￼￼￼￼extends well beyond typical in-ear solutions. High-strength, ultra-low resistance tensile wire design with aramid fiber. Meticulously built by a staff of dedicated artisans and lab techs based in the USA, Westone’s products exhibit a level of craftsmanship that truly embodies America’s rich history of handmade artistry.